With environmental toxins a part of your life, meditating daily can be a natural way to support wellness. Globally, people use meditation for pain relief. When you feel pain in your physical body, it is evidence of blocked energy. You can clear energy blocks by using meditation. By clearing blocked energy, you may free yourself of pain as well. Remember, your environment is more than just the air you breathe. It includes your relationship environments, the food you eat, the countless times you refer to a painful memory from your past and all the thinking and doing activities in which you engage. If you are into natural approaches for wellness, a meditation for pain relief can be quite beneficial. In February 2018, I started taking the nutritional supplement called CBD. Personally, this has been one of the best choices I’ve ever made for natural wellness. I encourage you to find out more about this nutritional supplement by going to my website right now. I believe it is now one of the central things I will do from now on. I simply feel so much renewed energy, I can hardly believe it. In addition to taking CBD, I regularly practice hypnosis, meditation for pain relief, mindfulness and energy movement activities that naturally support wellness. So, what’s so great about meditation? Using meditation, you naturally clear energy blocks and help balance brain chemistry. A balanced brain chemistry helps you effectively manage stress. Just ask Harvard Medical School neuroscientist Sara Lazar. One of the first scientists to research meditation and mindfulness benefits, she tested these two activities in brain scans. Surprisingly, she discovered that meditating can literally change your brain. Training for the Boston Marathon on year, she created some running injuries. She consulted with a physical therapist who told her to stop running and start stretching. To satisfy the physical therapist’s recommendation, she engaged in doing yoga. The yoga teacher claimed that regularly doing yoga would provide many different kinds of physical and mental wellness benefits. At first, Sara skeptically listened to the teacher. However, soon, she noticed herself feeling calmer and feeling more capable of handling challenging situations. Additionally, she felt more compassionate, more often she felt open hearted, and able to see a situation from others’ viewpoints. She felt curious about her newfound inner peacefulness. Then, after doing a more thorough literature search of the science, evidence revealed the association with doing yoga and decreased stress, decreased depression, anxiety, pain and insomnia, and an increased quality of life. You can read more here about Sara’s story regarding the benefits of meditation and yoga. As a professional hypnotist, I’ve long known the natural benefits of regularly using hypnosis for natural stress reduction and wellness. Meditation, mindfulness and hypnosis are all activities that support natural pain relief. If you’d like to enjoy a very brief instructional video I named One Minute Meditation For Pain Relief relax your digestion and let go of overwhelm go to my YouTube video right now. This exercise is especially helpful for those with digestive system and overwhelm stress. If you like what you see, please give the video a “thumbs up” and a positive comment. I am also a Jin Shin Jyutsu practitioner (www.jsjinc.net) teaching my students the ancient art of releasing tension. When you release stored up tension in your mind and body, you naturally feel more like smiling. DISCLAIMER: Complying with FTC guidelines, this message is used to inform you that some of the links found within this content or the links on pages it refers you to may be affiliate links. 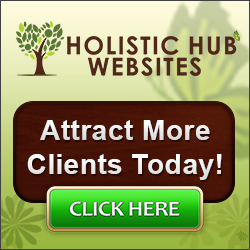 We receive a commission when you purchase products through these links. Commission amounts vary from product to product. Understand that we only ever recommend products and services behind which we fully stand. SUBSCRIPTION INFO: We never spam. Nor do we email you without permission. By asking to join our email list, you agreed to our terms and conditions for opting in either by receiving something free or by purchasing a product or service from us. Sending you emails includes your permission for us to send you email updates about important product information, announcements, bonuses, promotions and other general communication.